1. Chemical Epigenetics: To explore the biological significance of novel histone PTMs. Until now, more than 30 types of PTMs have been detected on histones while new one are kept adding to the list. Given their numerous links to essential cellular processes, dysregulation of histone PTMs has been implicated in many human diseases such as cancer. It is therefore important to gain detailed understanding of the regulatory mechanisms and functions of histone PTMs. i. To identify the ‘readers’ and regulating enzymes of histone PTMs. 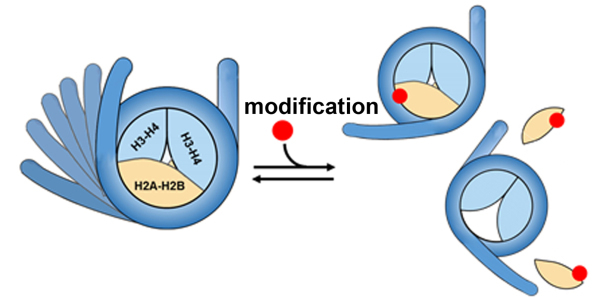 Most of the histone PTMs are reversible and highly dynamic, which are regulated by various histone-modifying enzymes that catalyze the addition (‘writers’) or removal (‘erasers’) of them. Depending on their chemical properties and positions, histone PTMs can exert their biological functions by two complementary models. In the first model, histone PTMs serve as a signaling platform to recruit a variety of chromatin-binding proteins that recognize distinct modifications (‘readers’ or ‘effectors’) and execute downstream cellular programs. Therefore, understanding of the regulatory mechanisms and functional consequences of a histone PTM require the identification of its regulating enzymes and ‘readers’. Considering the interactions between histone PTMs and their regulating enzymes are even weaker and transient, a robust method for the systematical and unbiased identification is lacking. To tackle these difficulties, we introduced photoreactive groups (e.g., benzophenone, diazirine) into the bait peptides to convert non-covalent interactions into irreversible chemical linkages by photo-cross-linking. 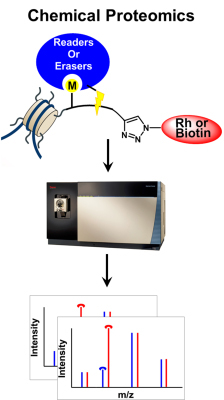 By combining the photo-cross-linking strategy with a quantitative proteomics technology, stable-isotope labeling of amino acids in cell culture (SILAC), we developed a chemical proteomics approach termed CLASPI (cross-linking-assisted and SILAC-based protein identification). By using CLASPI, known and previously unreported ‘readers’ of trimethylation marks on histone H3 Lys4 (H3K4me3) and Lys9 (H3K9me3) as well as phosphorylation on Thr3 (H3T3ph) have been successfully identified. At the same time, we are trying to identify the ‘readers’ and regulating enzymes of other novel histone PTMs by CLASPI. In addition, we are also designing and developing new photoaffinity probes to improve the specificity and efficiency of the photo-cross-linking. ii. 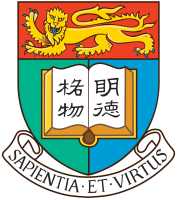 To study the effects of histone PTMs on chromatin compaction. physiological conditions. As a result, these PTMs are likely to induce significant changes in chromatin structure. To test this hypothesis, one challenge is to prepare homogeneous histones wit the PTMs of interest at stoichiometric level. To address this difficulty, we apply different strategies to prepare modified histones, including semi-synthesis of modified histones by native protein ligation (NCL), expressed protein ligation (EPL) and amber suppression-mediated unnatural amino acid incorporation. Followed by in vitro nucleosome assembly, we study the effects of the PTMs on chromatin compaction structure using various biophysical techniques such as analytical ultra-centrifugation, fluorescence resonance energy transfer (FRET) and electronic microscope (EM). Essentially every biological process relies on the exquisite regulation of interactions among its key protein components, including cell division and differentiation, signaling transduction, and cell metabolism. Aberrant protein-protein interactions (PPIs) may lead to human diseases, such as Alzheimer's disease and cancer. Therefore, the identification and characterization of these protein interactions are important for not only a fundamental understanding of complex cellular processes but also the development of new therapeutic strategies to treat human diseases. 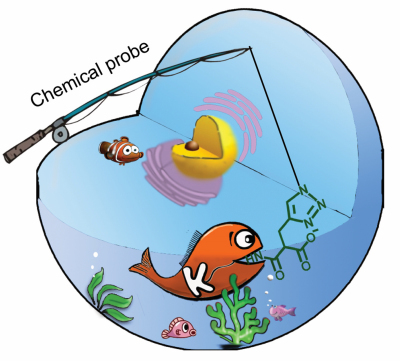 Photo-cross-linking, by which non-covalent protein interactions can be converted into irreversible chemical linkages, has also emerged as a powerful method for analyzing PPIs. This method complements the studies on weak or even transient PPIs and can provide information of PPIs at high spatial and temporal resolution. Such method requires the incorporation of photo-reactive groups (i.e., photo-cross-linkers) into proteins for capturing their interacting partners. Previous studies by others have demonstrated the applications of photo-reactive amino acids, such as photo-leucine (photo-Leu) and photo-methionine (photo-Met), in analyzing PPIs both in vitro and in living cells. We have recently developed a new photo-reactive amino acid that resembles the structure of lysine by incorporating a photo-cross-linker (diazirine) into the side chain of natural lysine, termed photo-lysine (photo-Lys). We showed that photo-Lys could be incorporated into proteins under normal cell culture conditions and fix the non-covalent PPIs that involve lysine at interacting interfaces. More importantly, photo-Lys could be posttranslationally modified in cells, rendering specific cross-linking of lysine PTM-mediated PPIs. Site-specific incorporation of photo-Lys or modified photo-Lys by amber-codon suppression strategy into proteins of interest and exploring their roles in mediating PPIs will be the future directions. 3. To develop chemical reporters for PTMs. The detection of PTMs and identification of the PTMs’ substrates as well as their modification sites are normally relied on the application of antibodies and mass spectrometry (MS). However, some of the PTMs cannot be fully characterized by these two methods. Chemical reporters have become a complementary tool for the detection and characterization of PTMs. Functionalized with chemical handles (e.g. alkyne, azide), chemical reporters structurally resemble the PTMs of interest and thus can be incorporated into the PTMs’ protein substrates through metabolic labeling. The chemical handles are then conjugated to affinity (e.g. biotin) or fluorescence (e.g. rhodamine) tags via bioorthogonal reactions, allowing the enrichment and visualization of the target proteins. In addition, chemical reporters have been demonstrated to overcome difficulties arising from the dynamic and substoichiometric nature of some PTMs. As the reporters are covalently attached, they may provide direct and real-time detection of the target proteins and unlike antibody-based detection, are independent of adjacent biochemical environment. In a recent study, we developed a chemical reporter for lysine malonylation. We are also developing chemical reporters for detecting other novel PTMs.